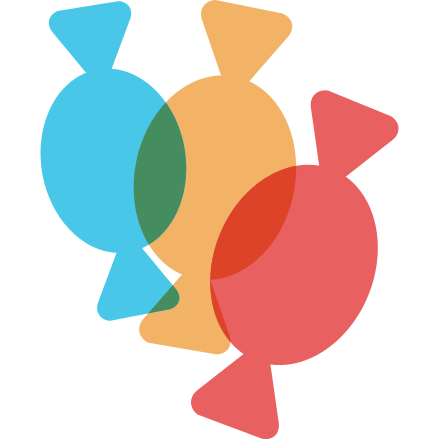 When a user is added as a supervisor for a communicator, they can optionally be given edit permission for that communicator's account. If edit permission is given, then the supervisor, in addition to seeing usage reports about that communicator, can also make changes to the communicator's board set. 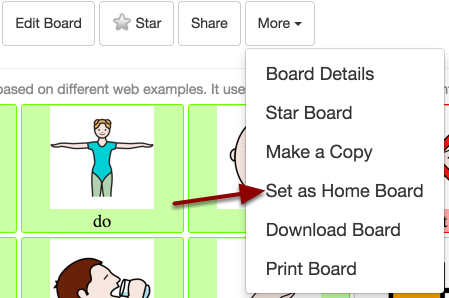 An editing supervisor, when they select "Set as Home Board", will see additional options. 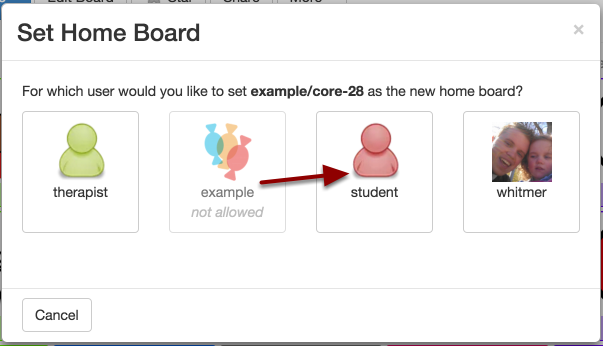 This allows them to set the home board not only for themself, but also for any communicators they are supervising. Notice that this supervisor does not have edit permission for all of the users they supervise. Supervisors with edit permission can also edit and copy boards on behalf of communicators they supervise. 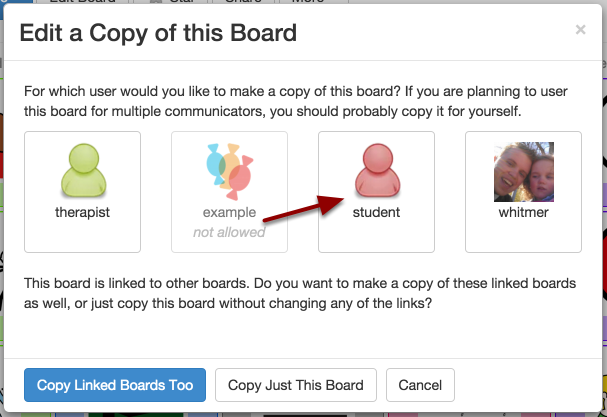 The board editing interface is the same regardless of whether you're editing boards for yourself or for someone you supervise.